Update 11:50AM: CWB can now report that the landlord is Patrick Cunningham, owner of Chicago Athletic Clubs. 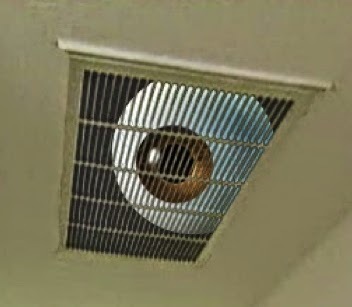 Police continue to investigate the matter to determine how the camera wound up in the bedroom vent. The camera was found in the third floor unit at 1155 Eddy. Update 1:21PM: NBCChicago is reporting that Cunningham is the owner of 3 units in the same building, having purchased all three over the course of a few months in 2013. UPDATE 2:43PM: Chicago police executed a search warrant in the rear basement of the condo building at 11:37 this morning. An evidence technician was requested immediately thereafter. Our original report from 3:39AM follows. A Wrigleyville woman Monday discovered a "high tech" video camera hidden in a vent above her bed and the 20-something victim is telling police that she thinks her "much older" landlord is responsible. Police are investigating to determine if her hunch is right. No one has been charged. That landlord just happens to be the CEO of a Chicago business chain that would almost certainly not want to be associated with hidden cameras in any way. CWB is withholding names and the address of occurrence because the investigation is on-going. Officers allegedly found a mini "nerve center" for the video operation in the building's basement. The case is categorized as unauthorized videotaping.